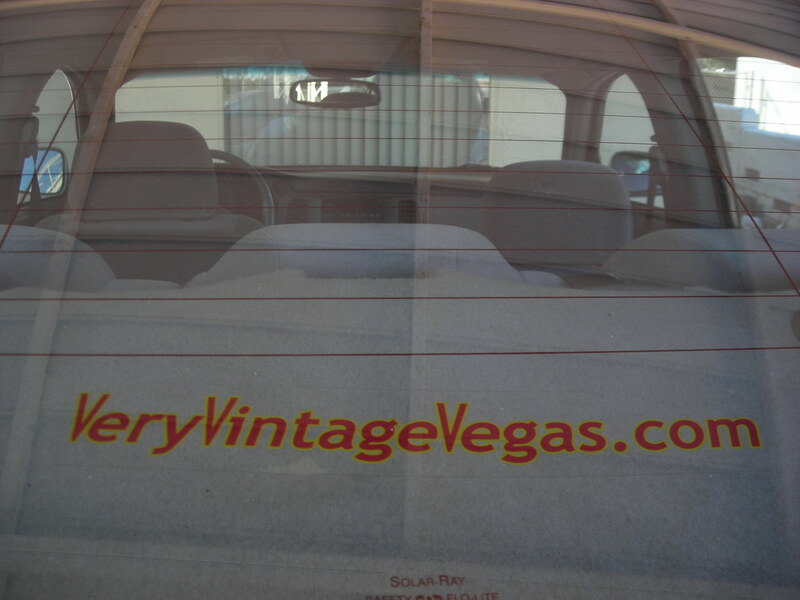 Uncle Jack's Very Vintage Vegas – Mid Century Modern Homes, Historic Las Vegas Neighborhoods, Las Vegas History and Urban Living by Jack LeVine – Want To Show Off Your Vintage Vegas Pride? Send us an e-mail and include your address. 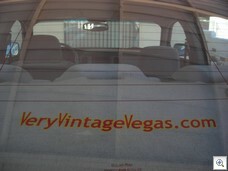 You’ll get a couple VeryVintageVegas window stickers for your car, your golf cart, or your Ducati windshield. (Now also available for boats & small water craft) Let your neighbors know you ‘get it’ & you’d rather keep your pink tile bathroom, thank you very much! They’re static cling, so your Rolls won’t retain any residue. They measure about 9 inches by 1 inch.